जामनगर मां 500 पोलिस महेकम खाली. 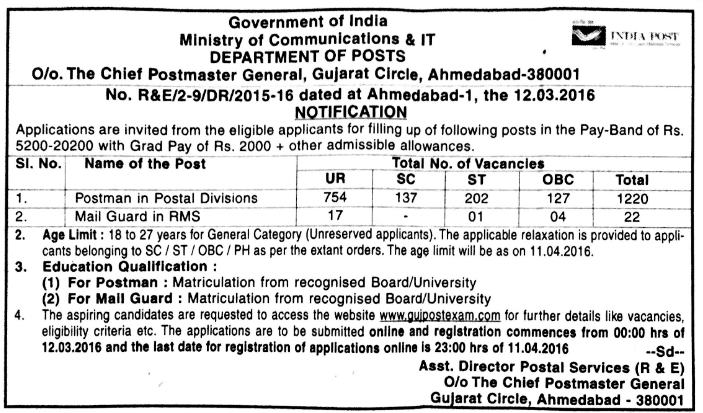 Gujarat Post Office Recruitment 2016 for Postman, Mailguard | Total Posts: 1242 | Last Date : 11.04.2016 | Educational : 10 Pass Full details . 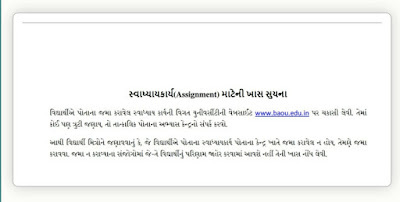 on its official website www.gujpostexam.com apply online now. 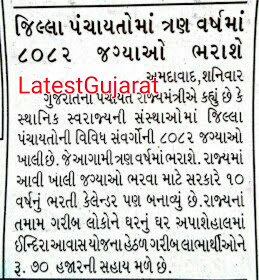 Gujarat Post Postman & Mail guard Recruitment 2016 for SSC/10th Pass Candidates: Online Applications are invited from eligible Indian Nationals, to fill up the following posts in the Postman and Mail Guard cadre in Postal/Railway Mail Service division in Gujarat Postal Circle under Direct Recruitment i.e. 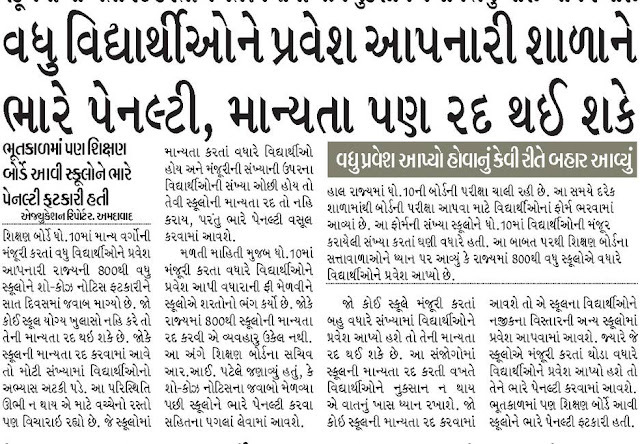 from open market by holding aptitude test/examination. 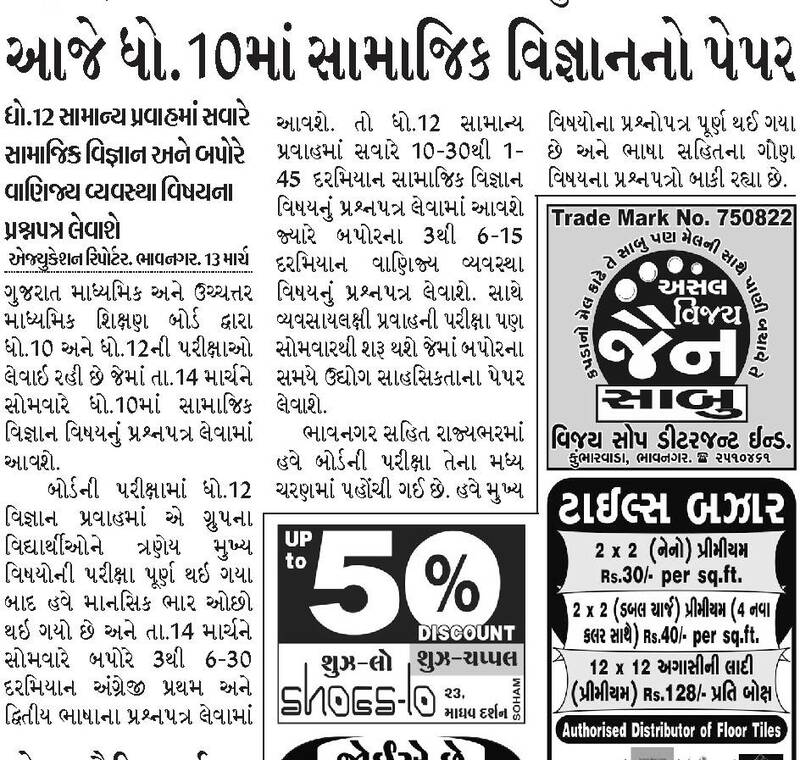 Last date of online application is 11th April, 2016. For more details such as age limit, education qualification, selection process, application procedure, application fee etc. are given below. 1. Postman : Rs. 5200-20200 with a grade pay of Rs. 2000/- + Admissible allowances. 2. Mail Guard : Rs. 5200-20200 with a grade pay of Rs. 2000/- + Admissible allowances. 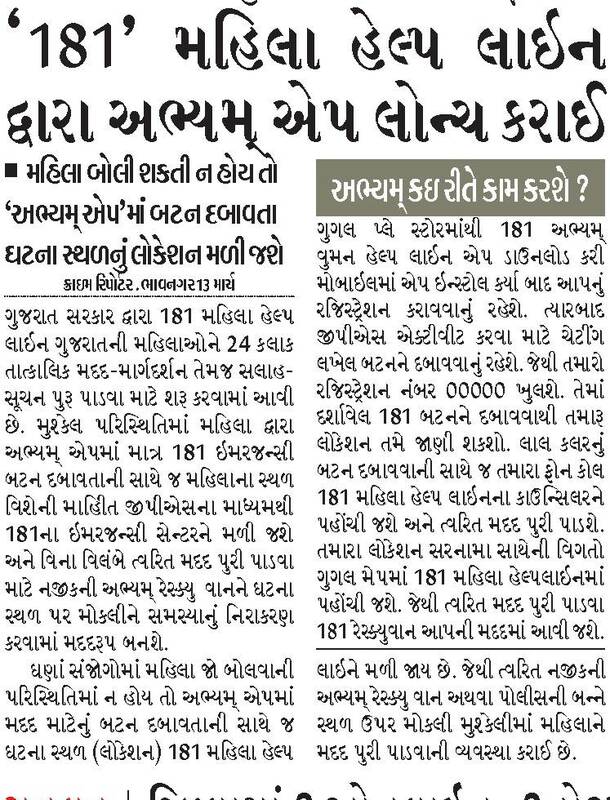 Age Limit– 18 to 27 years for unreserved (UR) applicants. (1) For Postman : Matriculation from recognized Board/University. (2) For Mail Guard: Matriculation from recognized Board/University. How to apply: Eligible candidates may apply online through official website www.gujpostexam.com on or before last date of Gujarat Post Office Recruitment 2016.
he selection will purely on merit basis which will be prepared on the basis of marks obtained in the Aptitude test separately for each category following the prescribed rule procedure on the subject. 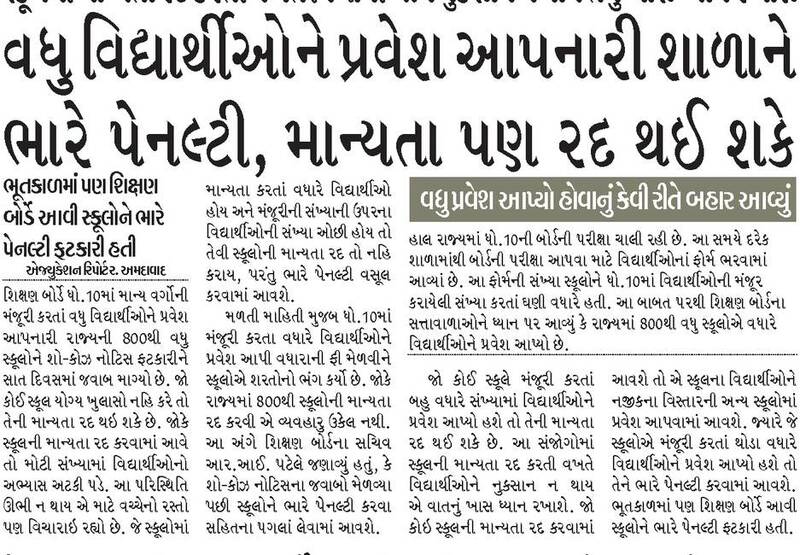 If two or more candidates secure equal marks in Aptitude test and they are standing in the lastposition in the merit list than it is clearly stated that the candidate senior in age will be considered for selection. percentage in the matriculation will be considered for selection. The duration of the aptitude test will be for 2 hours (120 minutes). There is no negative marking. Centre of Aptitude Test/Examination: (i) Ahmedabad (ii) Rajkot & (iii) Vadodara cities of Gujarat. Upcoming Police bharti Related good news In ETV news . JUNE - 2016 MA BHARTI PRAKRIYA HAATH DHARASHE. 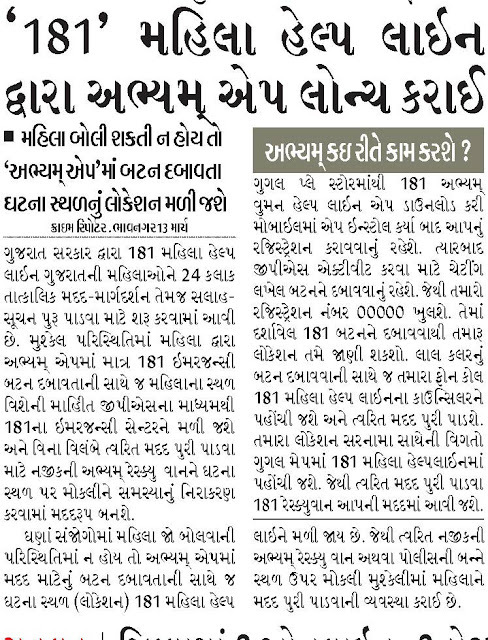 Age Limit: Candidates age limit should be between 18-25 years as on 01-07-2016. 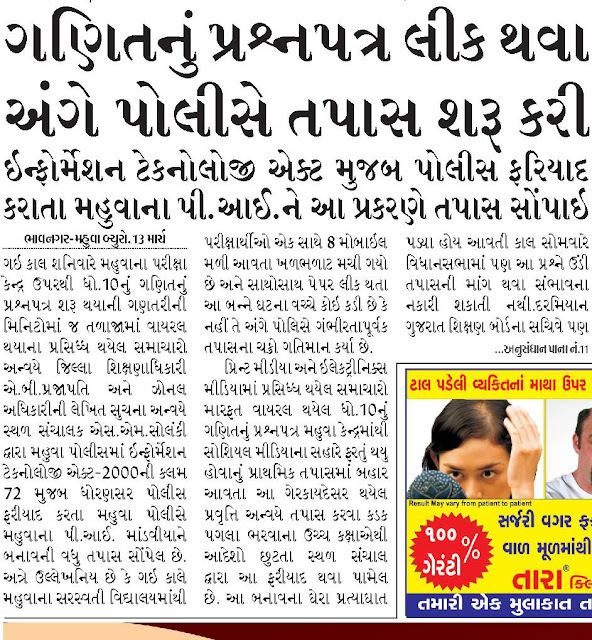 Age relaxation is applicable 5 years for SC/ ST candidates, 3 years for OBC candidates & for others as per rules. University with relevant experience in specified musical instrument. Selection Process: Candidates will be selected based on written examination, physical efficiency test, physical measurement test, document verification. There will be bonus marks for NCC/ sports certificates and Height. IG-Chief Security Commissioner, East Central Railway, Hajipur, Pin Code- 844101, Bihar on or before 11-04-2016 & 18-04-2016. Superscribe the envelope as “Application for the Post of Constable (Band) in RPF including RPSF”. 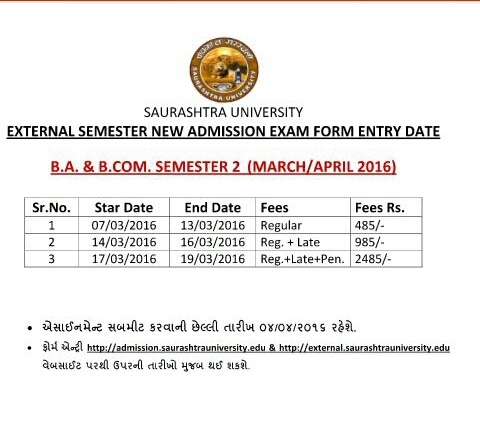 Last Date for Submission of Application : 18-04-2016. 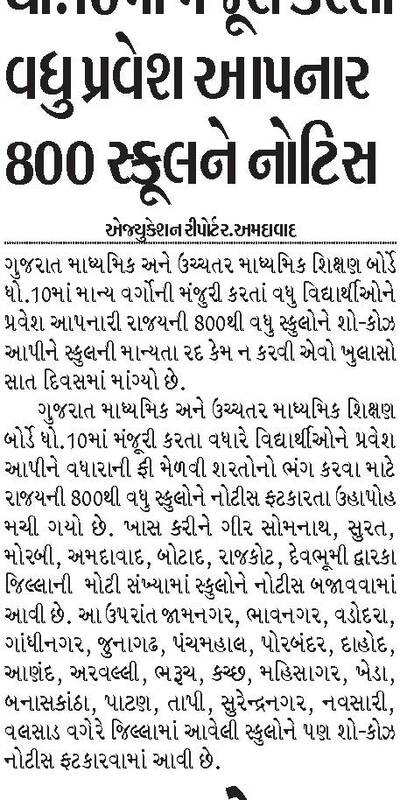 Educational News Updates on Date 07-03-2016. 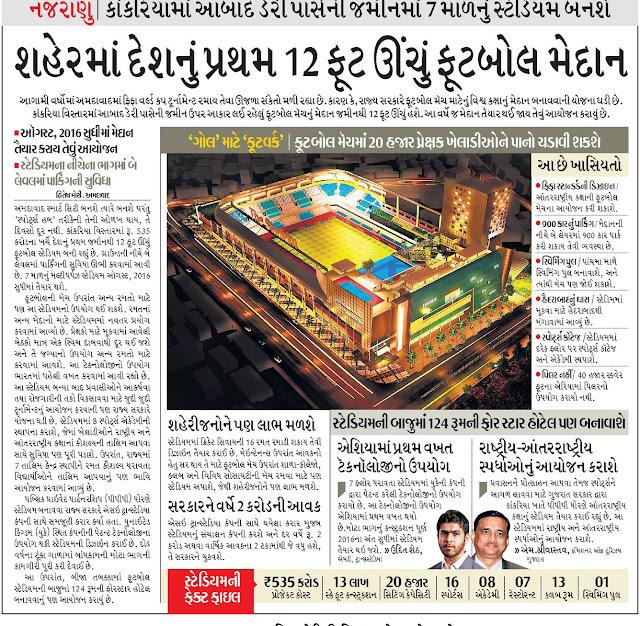 CLICK HERE TO READ ALL NEWS (PDF ). BAOU असाइनमेंट जमा करवा अंगे खास सुचना. 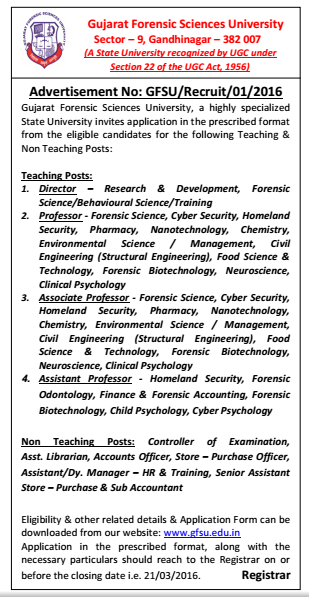 Recruitment for various Teaching & Non-Teaching Positions in Gujarat Forensic Sciences University . 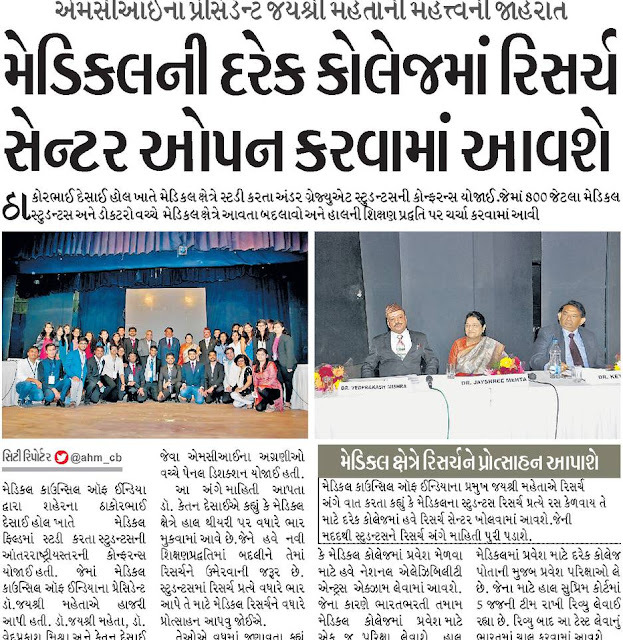 Gujarat Forensic Sciences University, a highly specialized State University invites application in the prescribed format from the eligible candidates for various Teaching & Non Teaching Posts. Application in the prescribed format, along with the necessary particulars should reach to the Registrar on or before the closing date i.e. 21/03/2016. 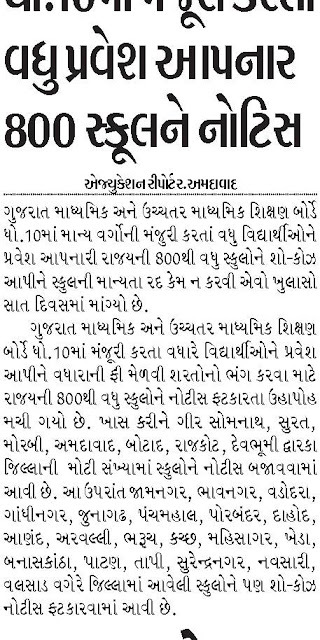 GPSC Important Notification for required Documents for all its Exams. GFSU Recruitment for Teaching & Non-Teaching Posts 2016. Gujarat Forensic Sciences University (GFSU), a highly specialized State University has published a Advertisement for below mentioned Posts 2016. Other details like age limit, educational qualification, selection process, application fee and how to apply are given below. 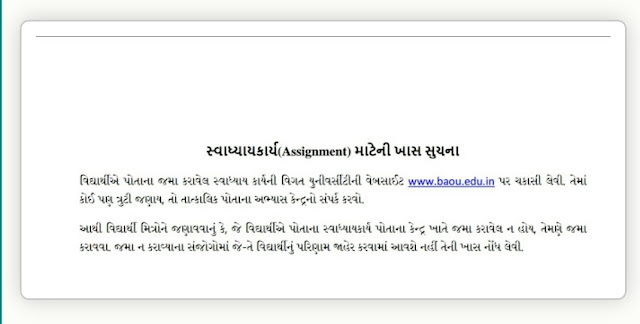 Address to sent Applications : Registrar, Gujarat Forensic Sciences University, Sector – 9, Gandhinagar – 382 007. Download Free GK Booklet for all exams. GK Expert Team Sharing With You All Latest GK Booklet. You can prepare for upcoming examinations with help of these Booklets. So Click and must download them. ■ ETC GK Plus Point January 2016 Booklet. ■ ETC GK Plus Point November – December 2015. RRB Non Technical Exam For 18252 Post Download Admit Card 2016 Starts Now. कुल 75 सरकारी योजना एकज pdf फ़ाइल मा! Must Download. 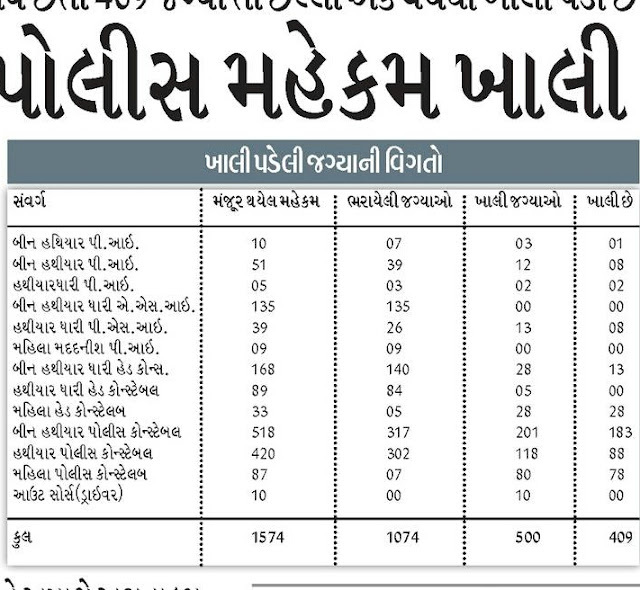 Total 75 Government Yojnao One Pdf File..